Paris (France) (AFP) – Hepatitis C is easily cured. Yet, about 400,000 people die of the liver disease every year as only a smattering get the medicine they need. On Friday, the World Health Organization (WHO) urged governments to attack the problem with more urgency, and more money. Only about three million people from an estimated 71 million Hepatitis C virus (HCV) carriers, received the treatment they needed, the UN’s health organ said at an International Liver Congress in Paris. “We very much encourage leaders in countries and politicians, policymakers, to… include Hepatitis C treatment into their broader health portfolio and really also find the domestic resources that are needed to take this forward,” said Gottfried Hirnschall, head of the WHO’s global hepatitis programme. The price of a cure ranges from about $200 (162 euros) to several thousand dollars per person — excluding diagnostic tests and healthcare salaries and infrastructure. But “by really frontloading and treating people, and treating them as quickly as possible… you save costs later,” Hirnschall told AFP. There is no vaccine for Hepatitis C, and curing it is the best way to prevent virus spread. HCV is most commonly passed on through infected blood — either by soiled needles used to inject legal or illegal drugs, or blood transfusions. Only about one in five people even know they are infected. Many go on to develop cancer or cirrhosis of the liver. A new category of drug called direct-acting antivirals (DAAs), described by Hirnschall as “revolutionary”, can cure all six major HCV strains, with a success rate of more than 90 percent. It comes as a once-daily pill taken for eight to 12 weeks. If all infected people could get it, the treatment would slash liver cancer deaths by 80 percent, says the WHO. Some countries, such as Egypt, Pakistan, China, and Brazil, have “really started to increase access” to HCV medicines, said Hirnschall — some relying on special licencing agreements that allows for the production of cheaper, generic versions . As a result, the majority of infected people live in low- to middle-income countries where prices today are but a fraction of the $84,000 initially charged in the United States for a three-month course. In many rich countries, prices remain high, said Hirnschall. The WHO is reviewing its guidelines on HCV treatment, he added, and will propose that every person older than 12 must have access to DAA. Governments right now have “an incredible opportunity,” said Hirnschall, “with medicines becoming available that are simple, that are cheap, that can now be delivered not only through specialist hepatologists but also through the primary care system. 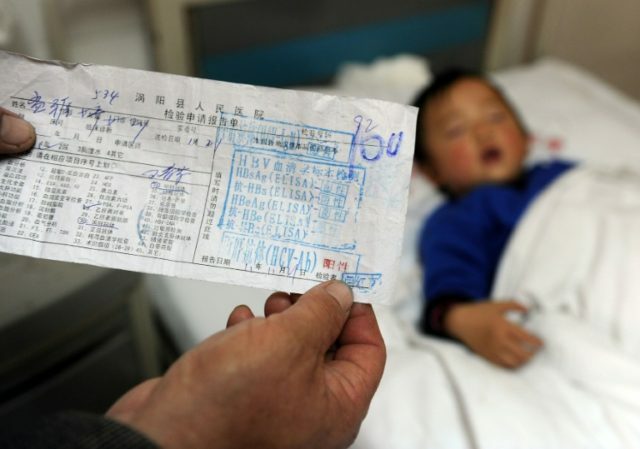 The WHO will release an estimate of the global price tag in June. Two years ago, health ministers agreed to eliminate viral hepatitis as a public health threat by 2030 — meaning to reduce new infections by 90 percent and deaths by 65 percent. On Thursday, the liver conference heard that only six European countries — the Netherlands, Iceland, Georgia, France, Spain, Switzerland — were on track to meet the goal. Research published last year showed the number of Hepatitis C infections in the United States had nearly tripled in five years, partly due to a rise in needle-sharing fuelled by the opioid epidemic.